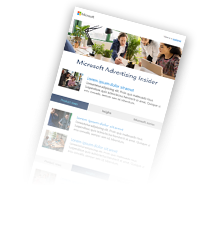 Bing Ads has been offering advertisers the ability to reach users in search-powered environments providing the most relevant and actionable experiences matching commercial intent of users. Bing Native Ads combine these strong intent signals with native experiences which are relevant and natural. In addition to matching intent signals, Bing Native Ads offer the same advanced targeting or bid boosting capabilities available from Bing Ads including location, device type, time of day, day of week, and site remarketing. 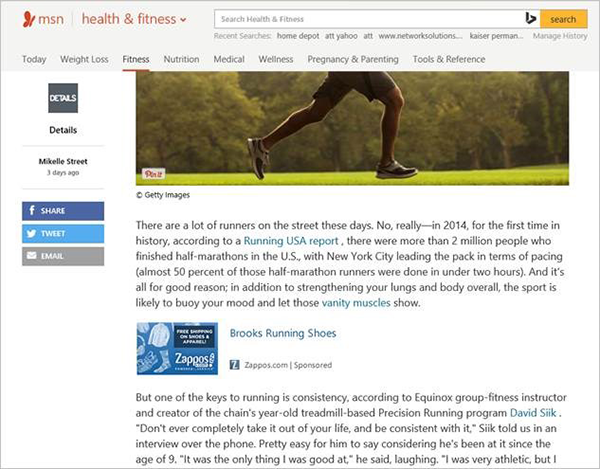 Bing Native Ads is a native offering optimized for search advertisers. Therefore ease of use for search advertisers is a key aspect of the product design. Search advertisers focus their efforts on optimizing the relevance and ROI of their campaigns using search ad platform workflows, interfaces, and reporting. The management and controls for Bing Native Ads are fully integrated with standard Bing Ads workflows, and all the advertiser interfaces, reporting and conversion tracking available from Bing Ads platform are available for Bing Native Ads. This makes it very easy and effortless for search advertisers to take advantage of this native offering and expand their reach targeting user intent. Bing Native Ads are designed to deliver good ROI for advertisers leveraging intent signals & algorithms, and also come with bid modifiers for advertisers to manage their participation in and ROI from native ads. 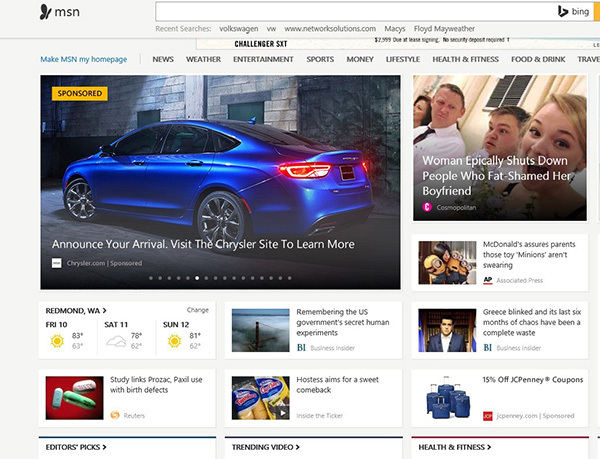 Bing Native Ads are initially launching in US market on MSN, a leading premium online portal with broad reach, high quality content and rich user intent signals. The user experience of Bing Native Ads is designed to naturally align with that of the placements in which they appear.